What Are the Challenges of Late Stage Alzheimer’s Care? As individuals with Alzheimer’s progress to the late stage of the disease, family members will notice some significant changes in their loved one’s ability to perform basic functions such as eating, walking, and personal care. Your mom or dad has likely needed additional assistance for many years already during both the early stages and middle stages of the disease. Still, the progression to late stage Alzheimer’s can bring significant new challenges for caregivers and family members, particularly as communication becomes more difficult. What Should You Expect During the Late Stages of Alzheimer’s Disease? During late stage Alzheimer’s disease, individuals progressively lose their ability to interact with and respond to their environment. Memory and cognitive function continues to diminish and may cause significant changes in personality. Physical impairments also increase during this stage and caregivers should expect to help with basic needs like eating, toileting, walking, and personal care. 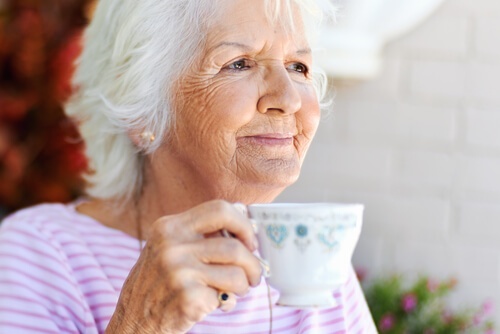 Your loved one may also experience difficulty swallowing or become more prone to infections. Late stage Alzheimer’s may require 24-hour care. What Are the Symptoms and Challenges of Late Stage Alzheimer’s? In this stage, people often lose the ability to care for themselves and may need full-time care. However, that does not mean they cannot feel pain or agitation. Caregivers should be aware of the potential for stiff joints, bed sores, and other discomforts associated with loss of mobility. How Can You Support Your Loved One? Your loved one may have difficulty chewing and swallowing, so choose soft foods that present less of a choking risk. Carefully monitor food and water intake to be sure nutrition and hydration requirements are met. If your mom or dad has difficulty eating, assist as needed but encourage self-feeding as much as possible. Monitor side effects associated with loss of mobility. If your family member is confined to a chair or bed, he or she may experience frozen joints or pressure sores associated with lack of mobility. You can help prevent these problems by changing your loved one’s position every couple of hours and moving arms and legs regularly to maintain range of motion. Set a toileting schedule and provide protection in case of accidents. Limit liquids before bed to prevent overnight accidents. You will likely need incontinence products and care for your loved one. Maintain good hygiene and take measures to prevent colds and flu which may develop into more serious infections. Consider getting a flu shot to reduce the risk of sharing infection with your loved one. Your family member may not be able to communicate with words anymore, so pay attention to body language and facial expressions that indicate pain or discomfort. People with late stage Alzheimer’s disease still feel loneliness, agitation, and sadness. By contrast, they also experience feelings of safety, love, and reassurance from their caregivers and environment. You can maintain your mom or dad’s quality of life by providing soothing experiences such as listening to music, sitting outdoors, or stroking a pet. Does Your Loved One Need Additional Alzheimer’s Care? Respite Care—If you are the primary caregiver, respite care provides a break from intensive care responsibilities so you can rest and recuperate. Home Care—Home care can fill gaps in your care schedule if family members are unable to provide round the clock care. Home care agencies can assist with personal care needs, mobility, incontinence care, eating, and even grocery shopping, cooking, and housekeeping. 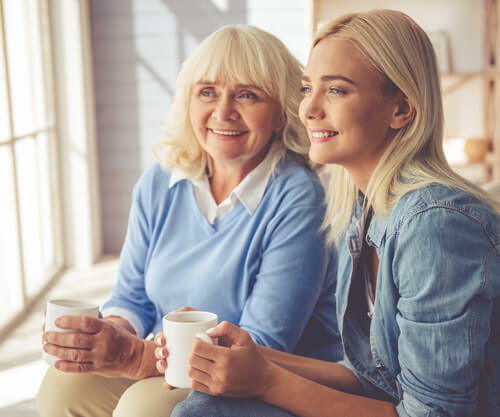 24-Hour Assistance—If your loved one needs round the clock care, consider a live-in or overnight caregiver to provide comprehensive services for your mom or dad and peace of mind for family members. One-on-one care provided in the home is generally the best care for someone with dementia because of the familiarity of surroundings and the level of attention that can be given to an individual. Residential Care—A residential facility may also be the right choice for your family member as he or she faces the challenges of late stage Alzheimer’s. This is especially true if your loved one requires medical intervention or the skilled care of a nurse. Loss of independence can be stressful and sad both for your family member and for you. But quality Alzheimer’s care can ensure that your mom or dad maintains the highest possible comfort and quality of life through each stage of care.